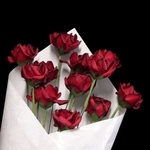 Two Dozen Paper Roses! 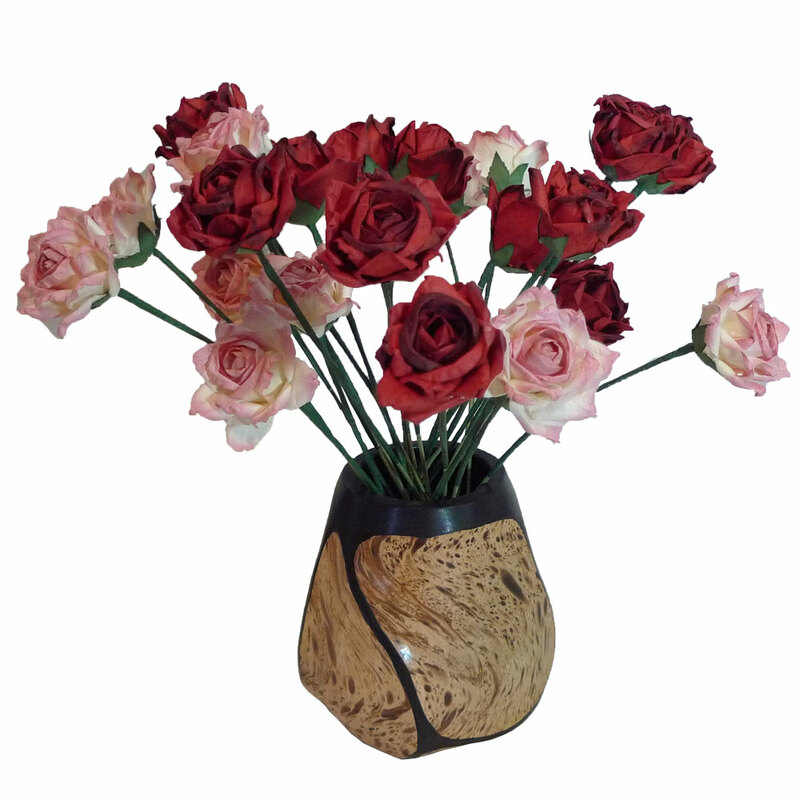 12 red and 12 pink flowers make a beautiful bouquet for any occasion. And if you're looking for a 1st Anniversary gift, it's a perfect match. Paper is the traditional anniversary gift for a first wedding anniversary. 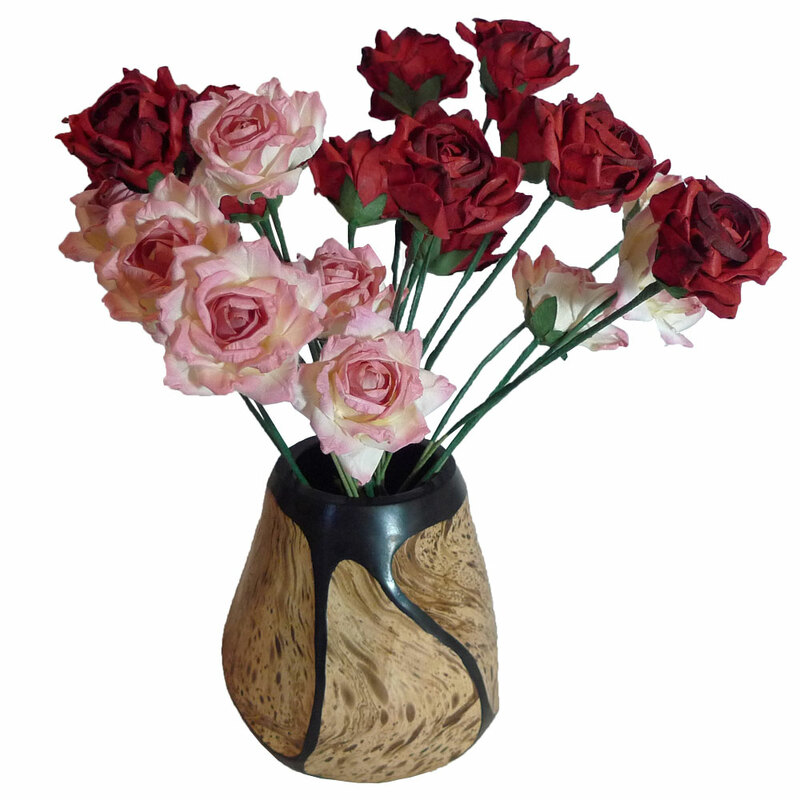 These 24 paper roses come packaged with a carved wood vase. Crafted from Mango wood, it has a strong, distinctive, natural shape. A faux finish is appled by hand by Thai craftsmen. 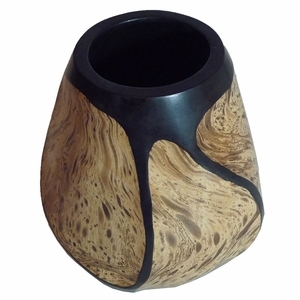 The vase is 6" high and 5.5" diameter (at its widest).